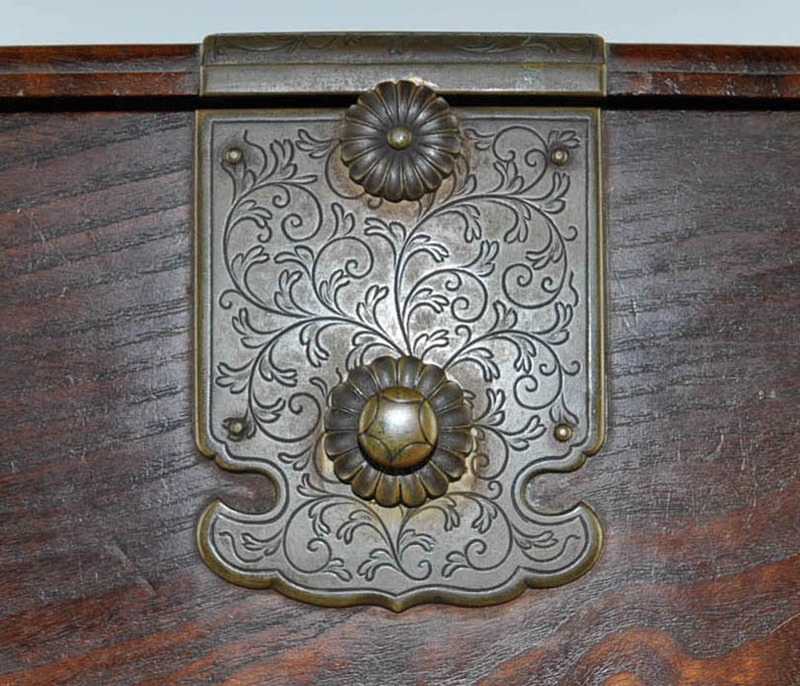 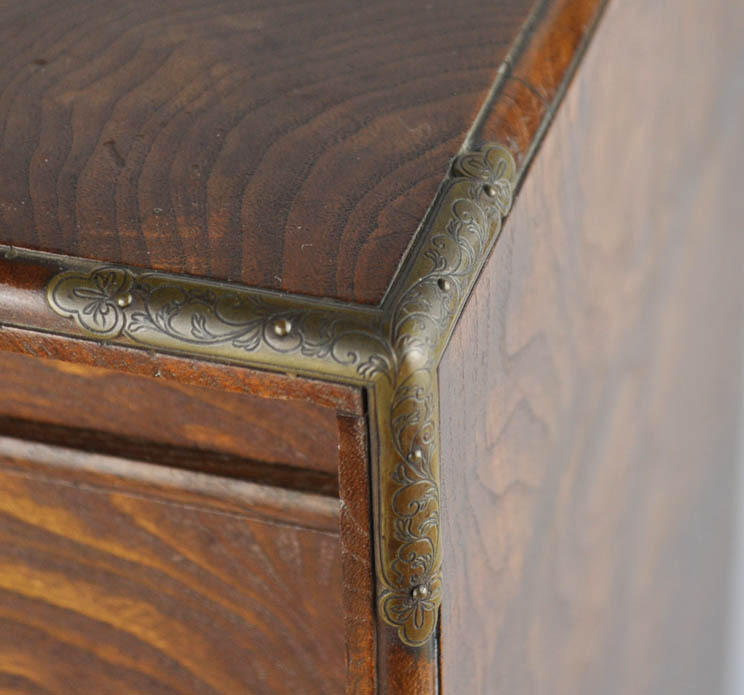 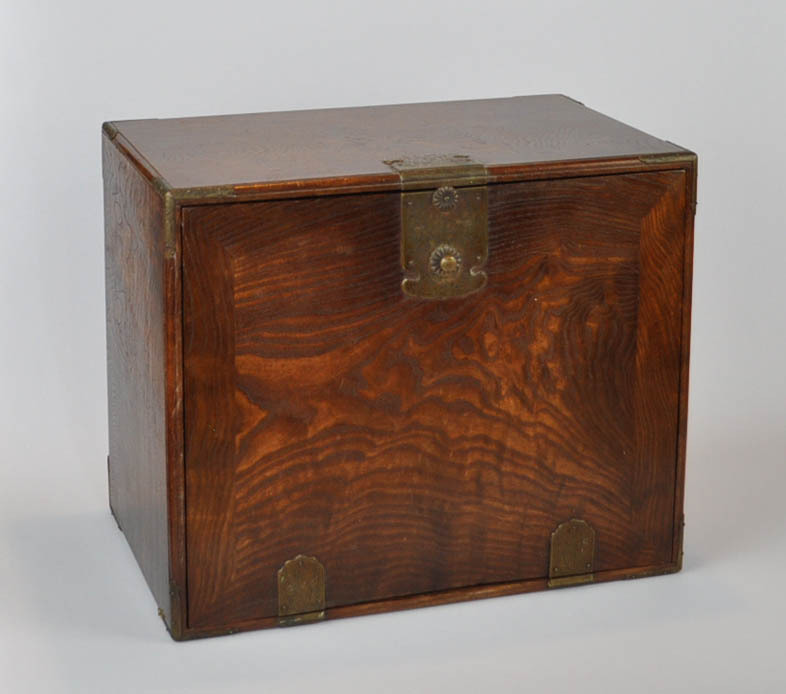 A fine keyaki wood (zelkowa) collector cabinet with engraved brass lock and fitting. 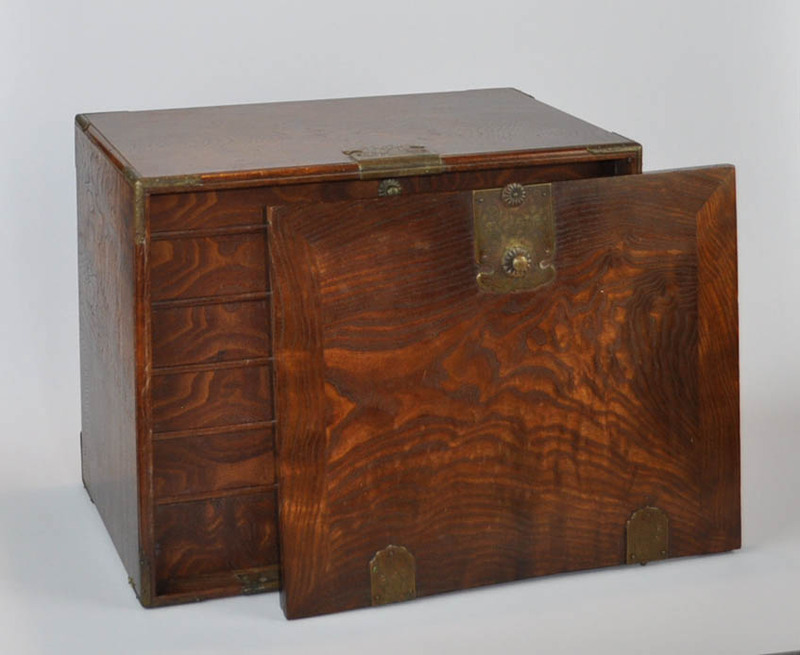 With detachable front door and six internal drawers for storage of inro, netsuke or tsuba. 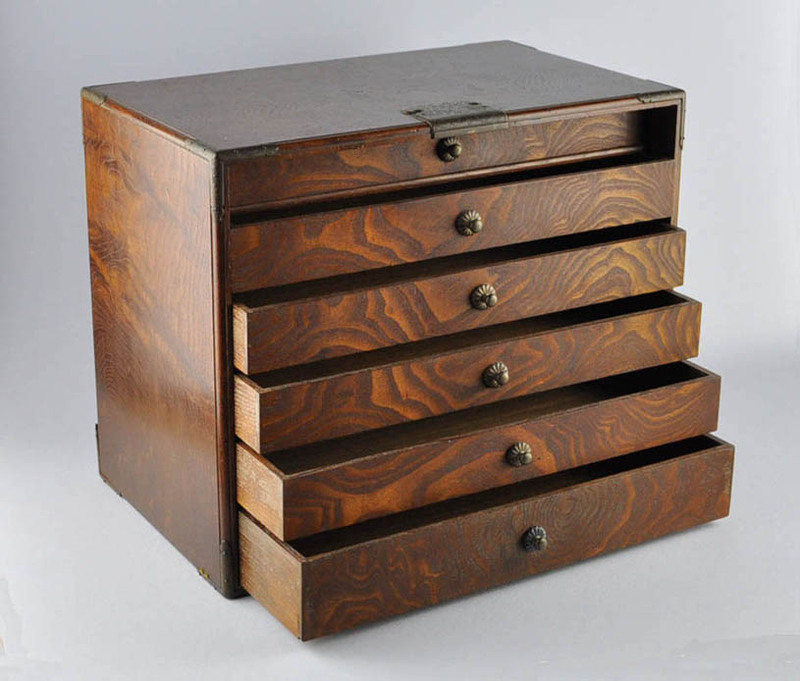 Five drawers are 16 x 30,4 x 3,3 cm. 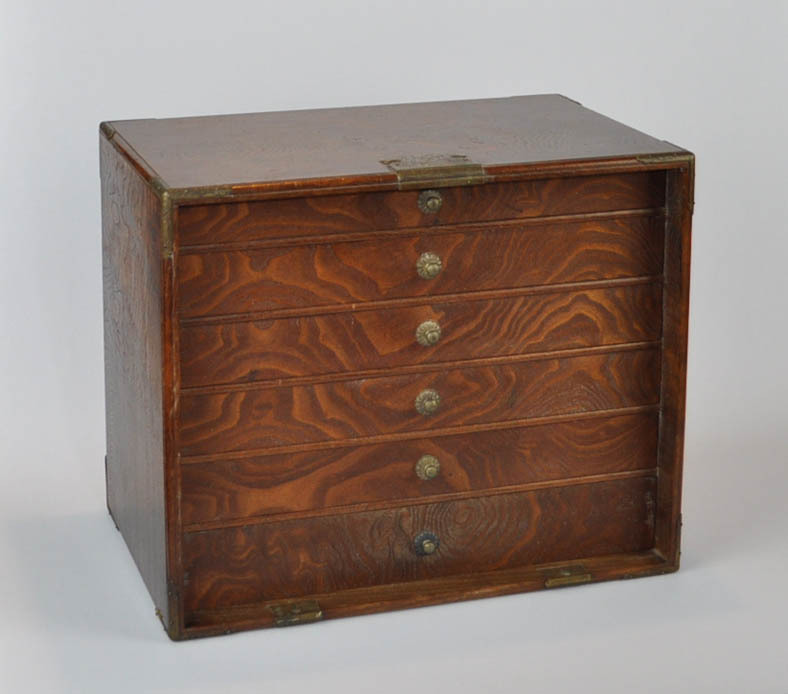 One drawer is 16 x 30 x 4,5 cm.